Summer Smith is at a crossroads in life. Fresh out of college with no idea what comes next, she agrees to take over her aunt’s flower shop for the season. She arrives in the small, close-knit community of Sweet Grove, Texas, hoping to find some answers. Ben Davis has lived in the shadow of his family’s mistakes for years. Forced to give up everything he ever wanted for himself, he begins to consider taking his own life in a final effort to end all the pain. A desperate plea sent to the God he isn’t even sure he believes in is soon answered by a series of miracles that bring Summer and Ben crashing into each other. Love’s Prayer offers a dramatic story about two people who must find a way to believe in each other and in themselves in order to finally find the place where they belong. 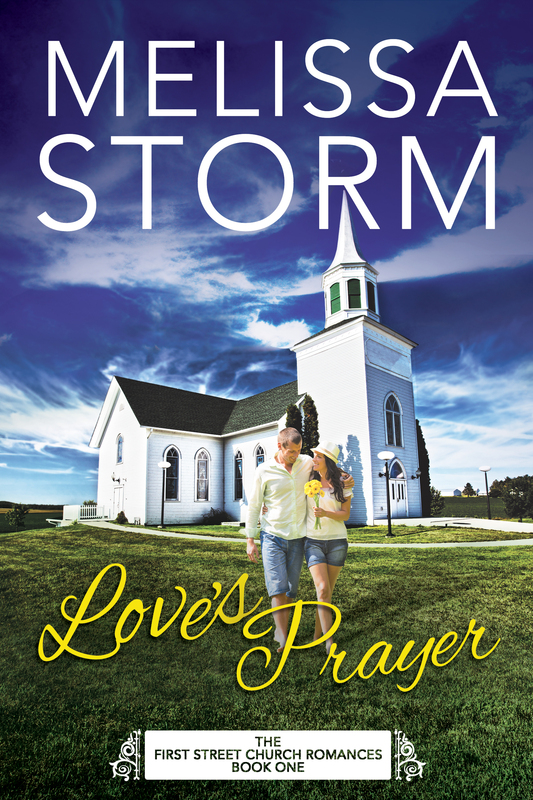 This novel of finding faith, hope, and—ultimately—love in the darkest of times is sure to tug at your heartstrings and leave you craving more from the First Street Church Romances! Melissa loves books so much, she married fellow author Falcon Storm. Between the two of them, there are always plenty of imaginative, awe-inspiring stories to share. Melissa and Falcon also run the business Novel Publicity together, where she works as publisher, marketer, web designer, and all-around business mogul. When she's not reading, writing, or child-rearing, Melissa spends time relaxing at home in the company of her four dogs, four parrots, and rescue cat. She never misses an episode of The Bachelor, because priorities.